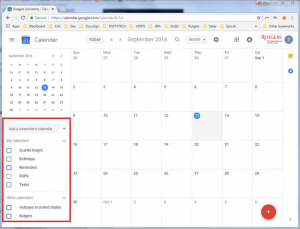 You can transfer your events from a different calendar application or Google Account to Google Calendar. Note: When you import an event, guests and conference data for that event are not imported. 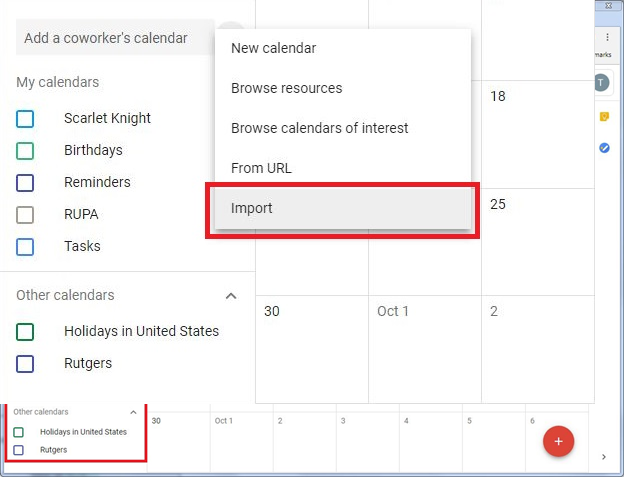 First, export your course schedule as a file that you can import into Google. 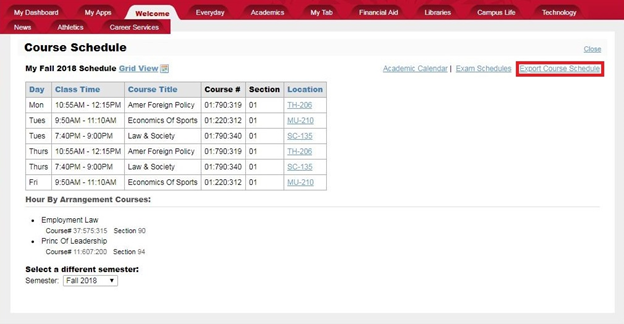 Your course schedule file should include all the course events for the term you’ve selected as well as Rutgers academic calendar events. 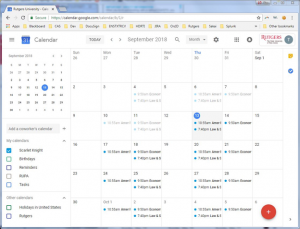 After you’ve exported your events, you can import them into Google Calendar. Open Google Calendaron a computer. Note: You can only import from a computer, not a phone or tablet. In the left panel you will see two lists of calendars: “My Calendars” and “Other Calendars”. Click Select file from your computer and select the file you exported. The file should start with CourseSchedule and end in “.ics”. 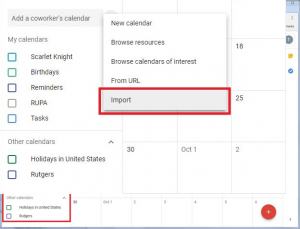 Click “Import” and Google Calendar will import everything from the file. If you’re using a ZIP file, find it on your computer and open it. 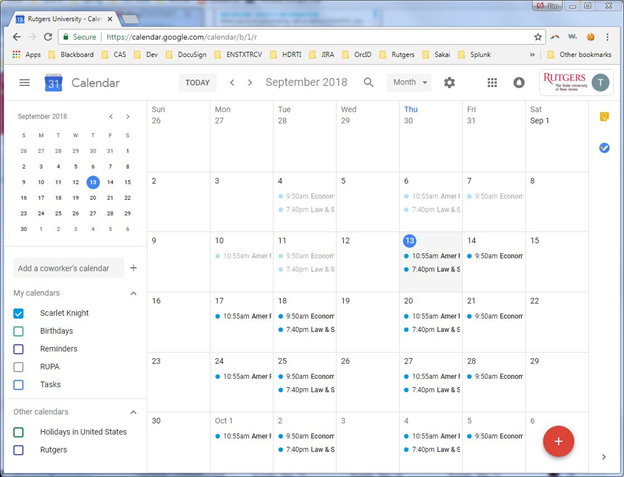 You’ll see ICS files for each of your calendars. Take the individual files out of the ZIP file, and import each ICS file individually. 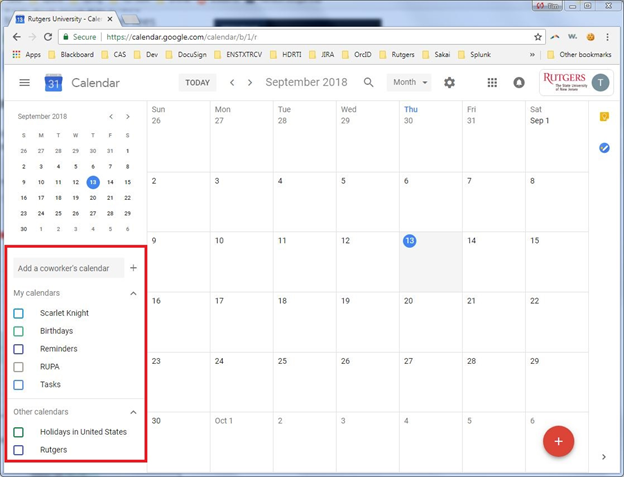 Note: Repeating events might not show up that way if you import them from a CSV file, but they’ll be on your calendar as a series of one-time events.